The sixteen essays that make up this volume were originally presented at a seminar ‘The Evolution of Medieval Indian Culture: the Indo-Persian Context’, held at Jawaharlal Nehru University, New Delhi on 14-16 February 1994. 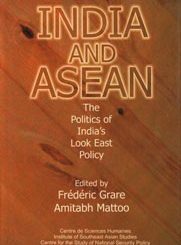 The papers in this collection have been classified thematically into five parts, each one arranged broadly in chronological order.The first part on ‘Political Institutions and Ideas’, is a reflection on the political ideology of Indo-Persian empires. From the two papers it contains, it is clear that the political theory of the Muslims of India seldom limited itself to a narrow interpretation of Sharica : pre-islamic ideas, rational traditions of Islam, as well as Sufi inspiration gave it its specific shape. The second part of the book on ‘Religious Traditions’ is devoted to this Sufi dimension. It contains four papers which cover diverse aspects of Indian Sufism from its formative phase down to its recent developments. The third part on ‘Painting’ contains three papers on the formative phase of Mughal painting and book-illustration, with examples of Mughal narratives and illustrated Persian manuscripts from the Deccan. 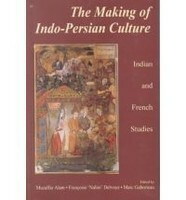 Two papers on ‘Music’ examine the contribution of Indo-Persian texts to the history of art-music in the Sultanate of Gujarat and at the Awadh Court.The five articles in the fifth and final part of the volume on ‘Literature, Historiography and Archives’, analyse some Indo-Persian texts, survey sources and also endeavor to examine issues relating to Persian literary culture in India. The present volume highlights the emerging trends representative of current Indo-Persian studies in India and abroad and underlines the richness and the vitality of this field of research.